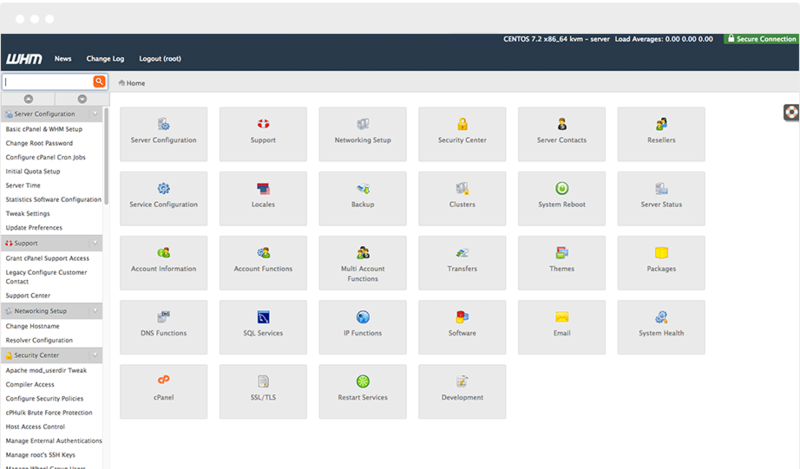 As the most widely used hosting control panel, cPanel & WHM™ includes both a user-level interface (cPanel) and a server management interface (WHM). The two interfaces pair seamlessly to offer intuitive hosting and site management for end-users and resellers, as well as server administration tools for hosting providers. While cPanel is certainly the most popular control panel on the market, there are still people in the web hosting community who claim they don’t need a web panel. This is especially true of more tech-savvy folks. System Administrators, for example, may not see a need for a dashboard that facilitates work they know how to do manually. Community Manager of cPanel Benny Vasquez is firm in her commitment not to sell people on something they don’t want or need. She instead asks potential clients to name tasks they hate doing but have to do regularly. Inevitably, tedious or mundane chores, like managing software updates or malware scans, come up as responses. “I never try to convince them they need something they don’t want, but I do show them where cPanel & WHM can solve the problems they’re encountering,” Benny said. Helping users overcome hosting hurdles — tactfully helping hosts make more money and giving site owners a pleasant management experience — is where the cPanel team shines. They work tirelessly on “incremental motions” that add value and move the product toward becoming the most modularized, flexible panel on the web, according to Benny. Though cPanel and WHM are only supported on Linux, Windows support can be achieved using a virtualization setup. 1. 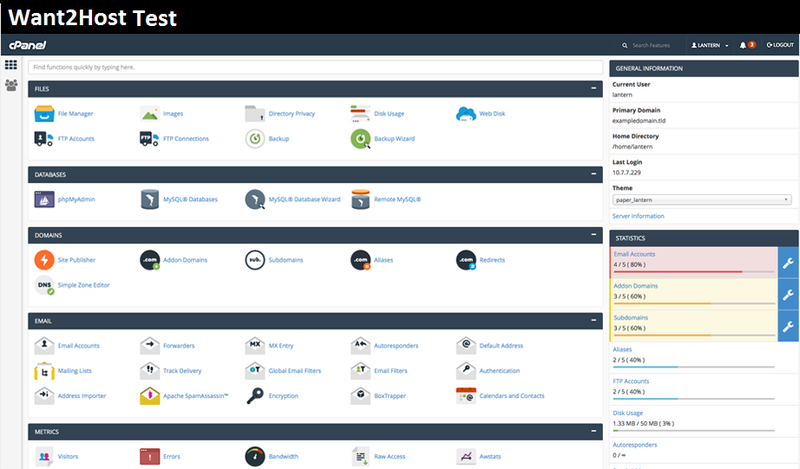 Highly Responsive, Speedy Performance: The cPanel team has made speed and efficiency a priority in the latest releases. This has resulted in a memory usage reduction of more than 25% in version 60 compared to the previous release, and cPanel and WHM account-related feature speeds, such as account creation or termination, are up to 10 times faster than prior versions. Expect more memory for applications and faster page loading speeds. 2. Command Line Utilities: Since the addition of command line utilities, the cPanel API has become readily accessible to non-coders. If you can use a command line, you can use the API, which opens up doors for integration by even beginner programmers. 3. AutoSSL and SNI Support: SSL certificates are automatically installed for every domain on your server and kept updated. Whether you want to use Komodo, Let’s Encrypt, or another provider, the SSL encryption is free and the certificates will be kept active for the life of the cPanel account. With the addition of SNI support, cPanel users can now get domain-specific certificates for /cpanel, /whm, and /webmail redirects. 4. EasyApache 4 and PHP-FPM: While EasyApache 4 makes managing packages and dependencies simple and super speedy, PHP-FPM applies the same level of speed and security for your applications. 5. DNSSEC and PowerDNS: Backed by PowerDNS, secure your DNS zones through DNSSEC and shield yourself from one of the foremost threats on the Internet. DNSSEC verifies the server you’re connecting to, protecting your site from DNS cache poisoning. Benny told us the API is the tool hosts use most when integrating cPanel features with their own support systems, so the cPanel dev team ensures proper documentation. “That’s definitely our strength,” she said. You can only expect updates like these to continue coming from the cPanel and WHM crew. As they sit down quarterly to determine what’s next, their collective eye is always turned to their “North Star” — doing what’s best for their users.